Save an EXTRA $100 by registering by Sep. 14th, 2018! Save an EXTRA $150 by making full payment by check! *Discounts applied during booking process - click BOOK button above to register. 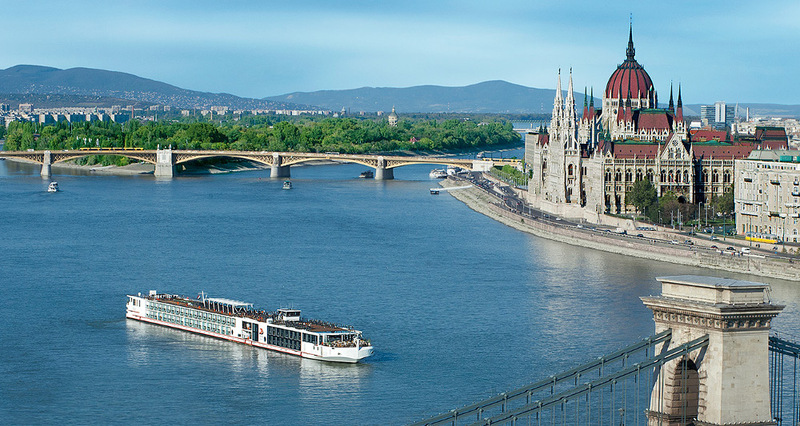 Featuring the engaging and enlightening Professor Natan Meir, we will travel to Nuremberg to set sail aboard a luxurious Viking Longship for a journey of a lifetime along the Danube River. Professor Meir's presentations and touring commentary along the way will help create an immersive experience that will not soon be forgotten. Day 1: Wednesday, June 19, 2019: WELCOME TO PRAGUE! • Arrive in Prague, the Czech capital, also known as "the City of One Thousand Spires", with its Baroque churches, promenades, parks and ancient city walls. Transfer to our hotel on own. • This afternoon, we set out on a tour of the city. Along the way, we see the 1,000-year-old Royal Castle of Hradcany, the Charles Bridge and the nearby John Lennon Wall, as well as the famous astronomical clock and St. Vitus Cathedral, the biggest and most important church in the Czech Republic. • This evening, we enjoy a welcome dinner together at a local restaurant. • Today, we enjoy a sightseeing tour of Jewish interest sites, visiting the Old City to view the Josefov, Prague's Jewish town, with its Old Town Hall, the Alt-Neu Synagogue, the Pinkas Synagogue, the Maisel Synagogue, the Jewish Cemetery and the State Jewish Museum. • Free afternoon for last minute shopping and exploration on own OR continue for an optional visit to Terezin, the former "model" Nazi concentration camp, just an hour outside of Prague. We visit the fortress, Jewish Cemetery Museum, the hidden synagogue, and the memorial monument (cost included). • Spend the evening at leisure discovering Prague and enjoying dinner on own. • This morning, we transfer to the airport for our flight to Budapest. • Upon our arrival, we spend our day visiting Jewish sites throughout this dynamic and historic city. Our first stop is at the statue of Raoul Wallenberg, a Swedish architect, businessman and humanitarian who is celebrated for saving tens of thousands of Jews in Nazi-occupied Hungary during the Holocaust. • We see the moving Shoes on the Danube Bank memorial. • Our next stop is at the impressive Dohány Street Synagogue, built between 1854 and 1859 in the Moorish Revival style. It is the largest synagogue in Europe and the second largest in the world. • We continue to the Jewish Cemetery to pay our respects, followed by a visit to the adjacent Magyar Zsido Jewish Museum. • We end our day with a visit to the Holocaust Memorial Center, where we see several exhibitions, including From Deprivation of Rights to Genocide, a tribute to the Hungarian victims of the Holocaust. • Check into our hotel and refresh. • Tonight, we join progressive congregation Beit Orim for Shabbat Services, followed by Shabbat dinner together. • This morning we take an insider's walking tour of the city, including the decorative Parliament building (the seat of the national assembly), Vaci Utca (a pedestrian street lined with shops and restaurants), Hero's Square with the Millennium Column, and the Tomb of the Unknown Soldier. • This afternoon we visit the fascinating Great Market Hall, where we can sample some Hungarian delicacies! • Evening at leisure to discover Budapest and enjoy dinner on own. Day 5: Sunday, June 23, 2019: ALL ABOARD! • Arrive on own through the day in Budapest (contact Ayelet Tours for flights). • Transfer to the pier on own and board our ship to check into our staterooms. • Spend the day at leisure discovering all that the ship and the city of Budapest has to offer. • We meet for a welcome reception and dinner on board the ship this evening. • Professor Meir will lecture this evening following dinner aboard the ship. • This morning, we take a tour of Budapest, the capital of Hungary. Situated on the opposite banks of the Danube River, the former cities of Buda and Pest are linked by a series of graceful bridges. • We begin our tour in Pest. Along the elegant Andrássy Avenue, the Champs-Élysées of Budapest, where we admire the Hungarian State Opera House. We also stop at Heroes' Square, a wide-open plaza of monuments and statues commemorating the Magyar state. • Across the river, we explore the more traditional Buda side of the city. Here, we will visit the Castle District with its massive hilltop castle complex, the turreted Fishermen's Bastion and Matthias Church, named for the country's most popular medieval king. From the heights of Buda Hill, enjoy fantastic views of the famous Chain Bridge, the first span to ever connect the two halves of the city when it opened in 1849. • We return to the ship for lunch. • This afternoon, join us on a specially arranged exclusive outing, as we head to the Gellert Hill Spa to enjoy the rejuvenating and relaxing traditional Turkish baths! General spa entrance to the baths are included and private spa services may be booked directly with the spa. (Alternate optional shore excursion(s) available for additional cost). • This evening, Professor Natan Meir will lecture aboard our ship, followed by dinner together in the dining room. • This morning, we arrive in the Austrian capital of Vienna, the center of arts and intellect during the reign of the Hapsburgs and beyond. We will meet our guide and drive into the city for a half-day coach and walking tour, focusing on the splendid buildings on the remarkable Ringstrasse, the gracious boulevard laid out on the site of the old city walls in the mid-19th century. Imposing palaces, elegant public buildings and grand residences line this world-famous avenue. • Next, we see the magnificent Hofburg Palace, winter residence of the Hapsburgs and home of the Spanish Riding School with its Lipizzaner horses. • Admire the great, Gothic St. Stephan's Cathedral, and view the beautiful Vienna State Opera concert hall, its facade adorned with elaborate frescoes depicting Mozart's opera The Magic Flute. • We return to our ship for lunch. • This afternoon, choose to join an exclusive visit to the excellent Jewish Museum and the Stadttempel, the only Vienna synagogue to survive Kristallnacht. (Alternate optional shore excursion(s) available for additional cost). • Early evening lecture with Professor Meir, followed by dinner aboard our ship this evening. • Breakfast aboard ship. Welcome to Austria! • We spend the morning cruising leisurely through the Wauchau Valley, a UNESCO World Heritage Site. • Mid-morning lecture with Professor Meir. • We enjoy the chance to taste some local Austrian specialties while taking in the riverside towns and castle ruins along the way. • Lunch aboard the ship. • After lunch, we arrive in Krems, with a chance to explore this time-honored town. We see the Steiner Tor, the last remaining city gate, as well as Göttweig, a working Benedictine abbey that owns several vineyards along the Danube. View the splendid ceiling fresco in the imperial stairwell and see the church's baroque architecture. • Return to the ship to continue cruising while enjoying dinner. • We arrive in Vienna and enjoy a relaxing evening or take in an optional concert in the “City of Waltzes”, or an optional Heurigen vineyard excursion. • Arrive in Passau, Germany and set out for another adventure. • Meet our local guide and begin our walking tour through delightful old-world streets, taking in a pastel rainbow of building facades as we stroll. We will see the impressive Bishops' Residenz from where powerful prince-bishops ruled secular and religious life for hundreds of years. Continue past the 14th-century Rathaus, or Town Hall, built on the site of a former fish market on the Danube. Conclude our walk at the magnificent 17th-century St. Stephen's Cathedral. This baroque wonder houses Europe's largest pipe organ, with more than 17,000 pipes, and inspired Liszt to write his Hungarian Coronation Mass. (Alternate optional shore excursion(s) available for additional cost). • This afternoon is at leisure to explore this city at your own pace! • Dinner together aboard our ship this evening. • Our day begins as we meet our guide dockside for a walking tour through the scenic town of Regensburg, considered one of Europe's best-preserved medieval cities. We see some of the Roman city walls erected by Marcus Aurelius upon its founding. We will walk past the Old Town Hall and see the 12th-century Old Stone Bridge, a 16-arch marvel of medieval engineering that still carries traffic today. • Next, we see the famous Alte Wurstküche (Old Sausage Kitchen), Germany's oldest restaurant, and admire idyllic courtyards. • At the Gothic St. Peter's Cathedral, gaze up at the Donkey Tower, a remnant of the old cathedral that was left to support this one. • Enjoy free time to stroll through the streets or shop. Return to our ship at your leisure. (Alternate optional shore excursion(s) available for additional cost). • Pre-dinner lecture with Professor Meir. • This evening, we enjoy dinner and cruise through the night, sailing through the locks that comprise the Main-Danube Canal, stretching 106 miles from Bamberg on the Main River to Kelheim on the Danube. • This morning, we take a tour of Nuremberg, including the Old Town, where we delve into the city's complex past. This medieval city is still surrounded by 13th-century walls, with many gates and watchtowers fully intact. After we see the grounds where Nazi rallies were staged and pass the Palace of Justice, we will admire the Imperial Palace, one of Europe's most formidable fortresses. Then, stroll down the castle hill past half-timbered houses and browse the stalls at the Market Square. There'll be time to explore on your own here. (Alternate optional shore excursion(s) available for additional cost). • Following lunch, we enjoy a lively discussion about the European Union. • We enjoy dinner aboard the ship together this evening. • Transfer to the airport on own for your flight or spend the day discovering Nuremberg on own.